The Angsana mangement receive the Human Resources award late last month. 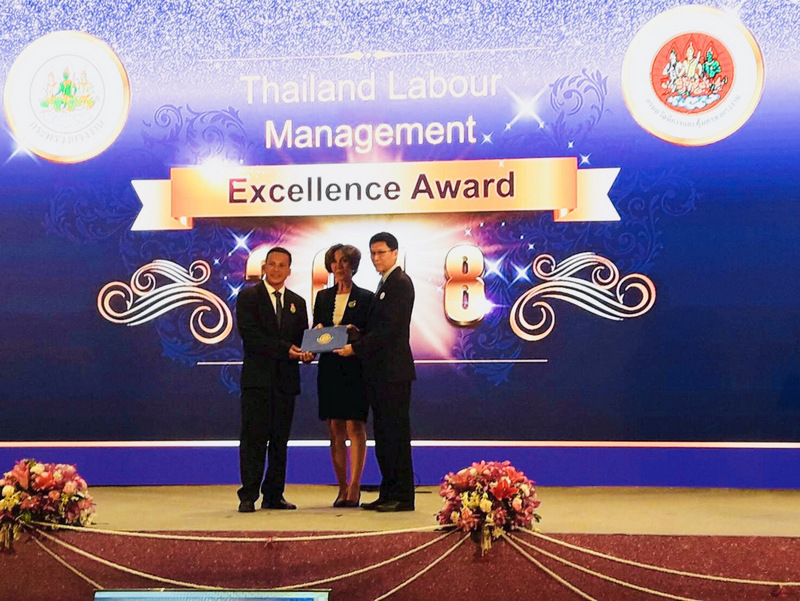 The resort was bestowed the ‘Thailand Labour Management Excellence Award 2018’ by the Department of Labour Protection and Welfare at an awards event in Bangkok late last month. Michal Zitek, Area General Manager at Angsana, explained that in allocating the award the adjudicators reviewed the wide range of pro-staff policy mandates in action at the resort. 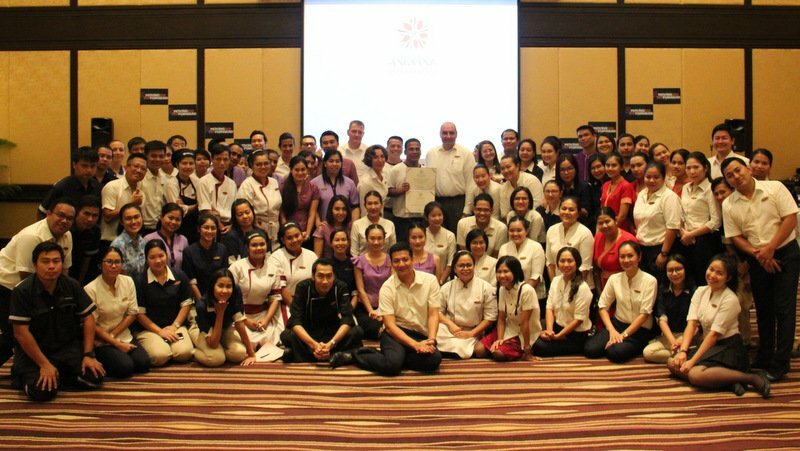 The human resources assessed included the firm’s provident fund; good environment in working areas; health insurance; social security; savings and credit cooperatives; training and career development, as the hotel invited speakers to share knowledge of interest to the staff and management; the resort’s labour welfare protection and labour welfare committee; recreation and health, such as the hotel’s annual sports day and a running club supported by the company’s CSR campaign; and the welfare of the resort associates’ families, such as free schooling for associates’ children, cash support for funerals, maternity allowance, among others. “Further to basic provisions, the hotel arranges annual activities as rewards such as the Associates Party as well as outings, team-building exercises and CSR activities that makes associates become supportive members of the community,” Mr Zitek said. “In short, we have managed to achieve good standards in our human resources systems. 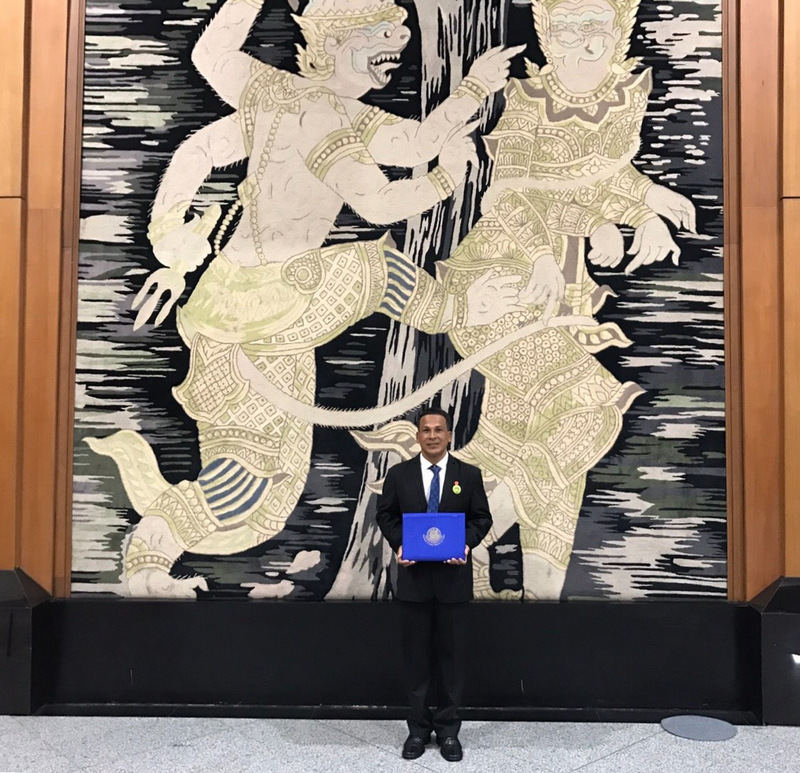 These raise the working efficiency and the standard of living of workers, in accordance with Thailand’s national strategy policy,” he added. 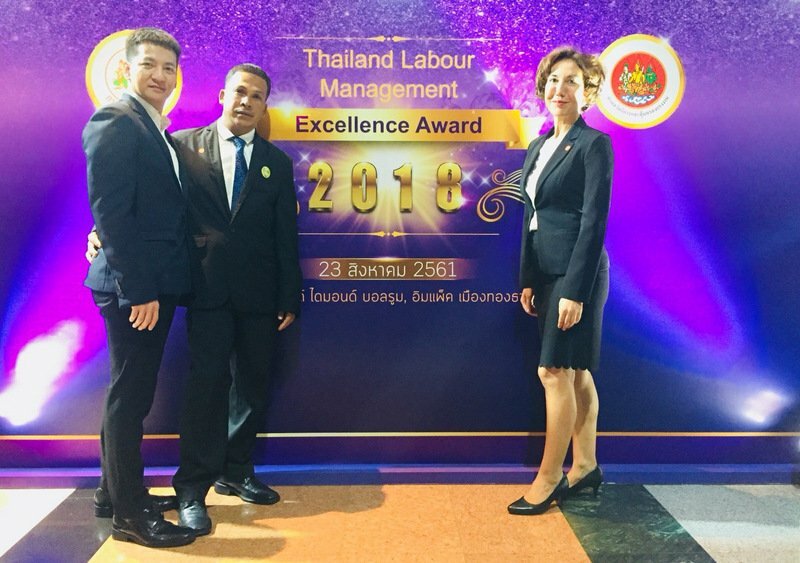 The award-winning ensemble of human resources practices have been a long time in development, with many of practices in use at the resort for many years, Mr Zitek noted. “To have happy associates working with us is a large part driving the company’s success,” he said. “The company has had many of these practices for many years. We actually already met the entry qualifications for the award, but we didn’t register for it. This year our Human Resources set clear objectives and made a special effort to receive the award,” Mr Zitek explained. “As this is a national level award, we can physically show it to people to prove that we don’t just say that we do things things… We actually do them, guaranteed. “Also, the award shows the commitment from our company to our associates that we are continuing to provide the best for them,” he said. In appraising the effectiveness of the resort’s existing human resources practices, the management turned to clear feedback from guests and associates in order to identify which areas needed improvement. “From customers, feedback is always returned via social media platforms, such as through Facebook comments and feedback posted on TripAdvisor,” Mr Zitek explained. A special development are ‘WOW’ cards through which guests can directly identify which staff members or services impressed them. “WOW cards are counted and used in assessing ‘Staff of the Month’,” Mr Zitek said, highlighting the positive reinforcement among their peers such direct-feedback mechanisms can have on staff performance. “As mentioned before, we have found that many areas are met with satisfaction, and there are still a few areas to be improved,” he said. “For what we were missing, this feedback provides good guidance and the opportunity to improve from the right angles and/or in the right areas,” he added. “Just a few points have helped the company to improve, leading to more staff being proud to be part of a successful company. It has created motivation and improved work efficiency with good mindset. “The end result is that treating people well is rewarded with loyalty to the company, and with good service to customers,” Mr Zitek said.